I learned about Datacamp’s Wrangling and Visualizing Musical Data project this week. Given my son’s interest in music, I thought this project would be an interesting one for us. However, after I looked at available projects, I thought we would start with the Handwashing project. 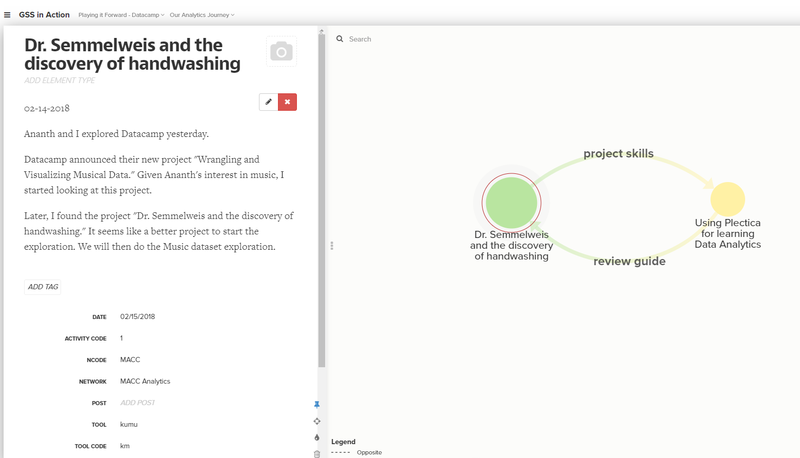 We use multiple mindmapping tools (kumu, Plectica, and Thortspace) to track our learning journey. I have been using Plectica to create review materials for students in my graduate class. My son and I will also be using Plectica to track information. He already uses Plectica to review key concepts and build fluency. 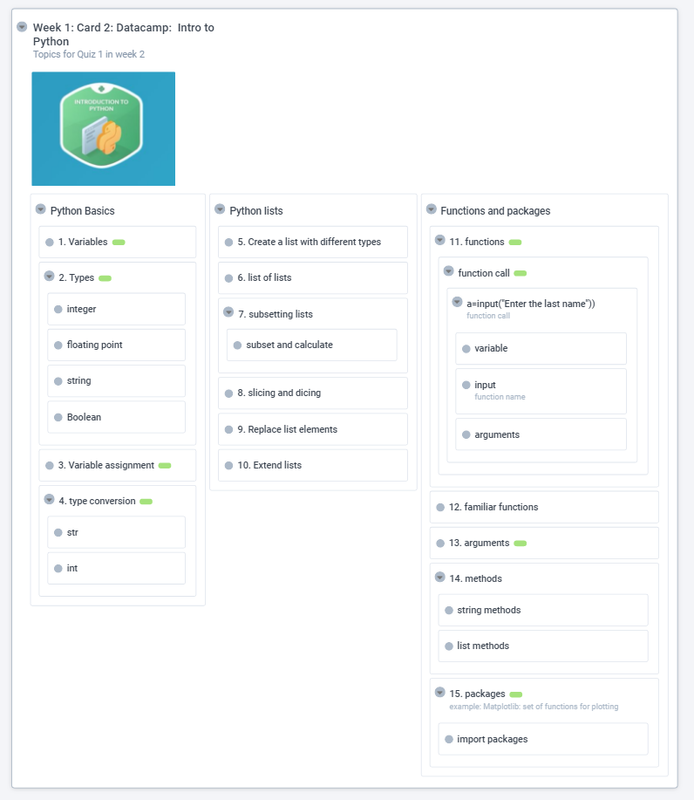 Datacamp teaches building blocks gradually. By capturing these building blocks in Plectica, we are creating a study tool.